When you are a car owner, it is essential you know how to jump a car. Nothing is more frustrating when your car is dead and you are left stranded out in the great unknown. You try to start the car, but it does not turn over or sometimes it doesn’t even make a sound at all. At this point, it would be one of these reasons as to why your car will not start. 4 How Long Does It Take To Jump A Car? The most common issue when a car will not start is a weak or dead battery. When the starter is having trouble getting going, jumping a car can get your car back up and running in no time. Remember that after you have the car going again, you should drive it around for about 15 minutes to keep the charge going strong. Sometimes, a frozen fuel line can cause the vehicle not to start. With the quick use of a jumper cable, your car will start to warm-up in no time. When the spark plugs are dirty, your car is not happy. The car’s fuel has trouble igniting, and spark plugs won’t help if they are in tip-top shape. A jump can get you back on the road, but you have some cleaning to do. Unfortunately, if a starter is dead, jumping a car won’t do much. It may be time to tow your car to the local auto repair shop. If your battery keeps charging and starting the vehicle, but then it dies again the next day, your alternator may need replacing. Ultimately, the solution to these problems can’t always be cured with a jumper cable, but the technology can go a long way. But, of course, you need to know how to use them before they can help aid you in the bleakest of times. 1. Pull out the cables No matter what brand of jumper cable you have, it is imperative that you have a set in your vehicle. 2. Stablize both vehicles Your vehicle (with the dead battery) and another vehicle (with the live battery) both need to be shut off to start and parked or in neutral. 3. Red Clips Connected the red clip to the + part of your battery. Then, connect the other red clip to the other car’s battery. 4. Black Clips Next, connect the black clip first on the other car’s battery. Then, add the other clip to a piece of metal on the car with the dead battery. 5. Start The Working Car Start the working vehicle first to get the charge started for the dead vehicle. This process will only take a minute or two. 6. Restart The Battery Now, it is time for the moment of truth. Turn on the car with the dead battery and let the engine idle. If your vehicle does not start, there may be worse things going on with your car. How Long Does It Take To Jump A Car? When jumping a car, it really does depend on how weak or dead your battery actually is. Some batteries will be good as new after 5 minutes, while others take a charge more slowly, or it is on its last leg, resulting in a 24-hour charging session. It also depends on the type of battery you have (12 or 24 volts) and the type of amp charge (2 or 3) you are using. If you need to jump-start a car, here are a few tips. Bring a safety road kit because you never know when you will be in horrid weather and needing to jump-start a car. 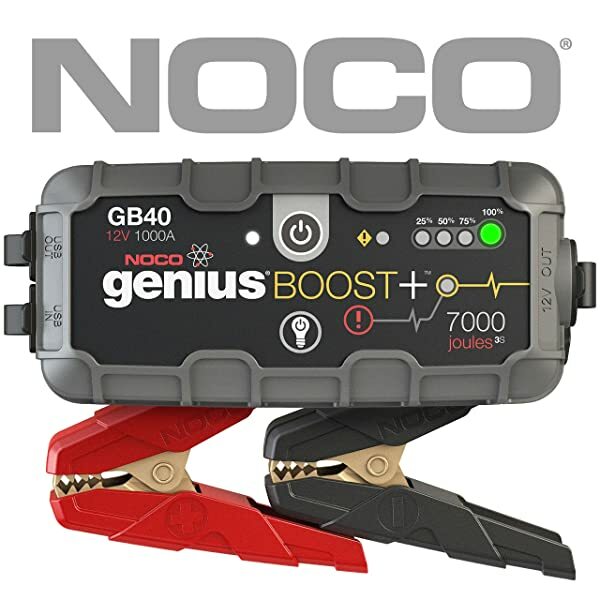 Additionally, you may consider buying an automatic jump starter to assist you when you are in the middle of nowhere without any help. A Jump starter or a booster cable is always a good solution for dead batteries. Now that you know how to connect jumper cables, you will be well on your way to getting your car back on the road again. This skill really can help you and others in a world that needs a lot of jump starts. As the car industry continues to boom, who knows? It may be the law someday to know how to jump-start a car.